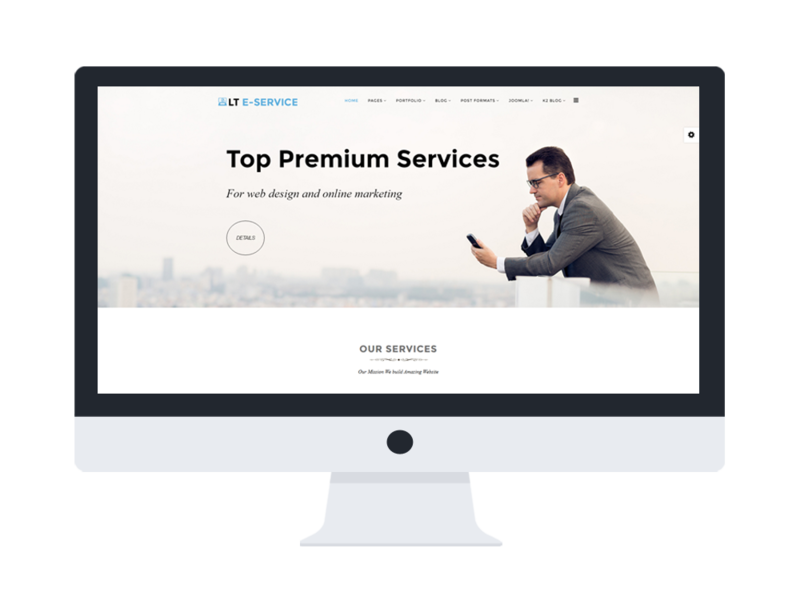 LT eService is a Joomla responsive template which is oriented to kinds of online business/ services website. This template is supported powerful framework, elegant page builder and shows well on all sorts of mobile devices with the perfect and clean layout. Besides, LT eService provides you various layout with customizable drag drop tools and color settings for 4 color styles to build a brilliant, excellent website and promote your services widely to everyone. If you’re finding a responsive template to make a beautiful site, LT eService will be a good choice! Let check it out!